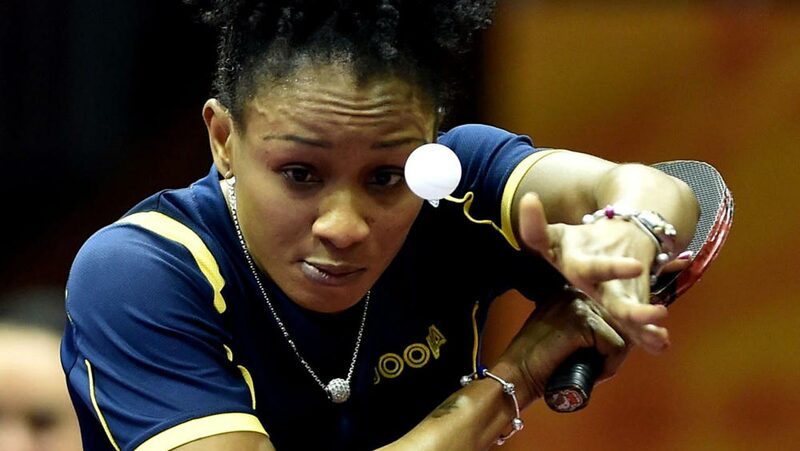 Nigeria’s most capped female table tennis player, Olympian, Funke Oshonaike, will be among the stars to watch when ping pong event strokes off at the on-going 19th National Sports Festival in Abuja. Oshonaike, who was Team Nigeria’s flag bearer at 2016 Rio Olympics in Brazil, is appearing in the colours of Akwa Ibom State in the National Sports Festival. The former Africa table tennis queen is optimistic of winning gold medal for her new state. Oshonaike was discovered and groomed to stardom by Lagos State, and she represented the state before she joined the foreign legion some years ago. She told The Guardian yesterday that her participation in the Abuja 2018 National Sports Festival was to win gold medal for her new state, Akwa Ibom. She also said her participation was to encourage the upcoming players, who have not had the opportunity to trade strokes with her before the festival. The Germany-based Oshonaike was full of excitement saying: “It is my joy to play table tennis on the local scene once again and participate in the National Sports Festival.” She had previously featured in Lagos State colours. “My presence will encourage a lot of upcoming female players, and I am sure many players would like to meet me, if the draws will allow. Many table tennis enthusiasts in the Federal Capital Territory (FCT) will come out in their large number to watch our matches,” Oshonaike said.She, however, did not disclose the others events she would feature aside the women singles. The 43-year old said she was confident of winning the women singles gold medal for Team Akwa Ibom. Akwa Ibom officials refused to disclose the financial implications in getting the services of Funke Oshonaike for the 2018 National Sports Festival. Meanwhile, Sports Minister, Solomon Dalung yesterday held officials and sports enthusiasts for several hours under the scorching sun at Abuja City Gate before he came to receive the Torch of Unity for the Sports Festival.The event scheduled for 10.00am did not start until 2.20pm, as the people waited for Dalung to arrive. Before Dalung’s arrival at 2.20pm, the FCT Minister, Mallam Muhammad Musa Bello had arrived, but decided to remain in his air-conditioned jeep where officials thronged to pay homage.Even policemen drafted to the City Gate were unhappy with the long wait for the Torch of Unity. The Federal Capital Development Authority (FCDA) Permanent Secretary, Christian Chineyeaka Ohaa received the Torch before handing it to Mallam Bello, who in turn passed it to Dalung. The sports minister later handed the Torch to Abdul Yahaya, a basketball player with the FCT.According to Dalung, two states have indicated interest to host the next edition of the sports festival.